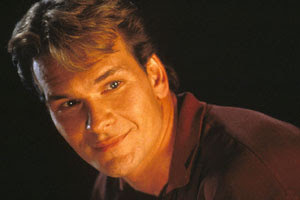 I was so saddened when I heard the news just this afternoon that Patrick Swayze died. Oh my! He was indeed a hunky actor who danced his way into moviegoers' hearts with "Dirty Dancing" and then broke them with his "Ghost" movie. I'm really a big fan of him. i love his movie with demi moore, The Ghost. not a big fan though of dirty dancing.